Bedroom feng shui is very important to ensure not just a good night's sleep but also that your finances remain protected. Windows and beds don't mix and the first rule is to avoid placing your bed in front of or underneath a window. This type of bed placement can also have negative effects on your personal health. While, the above remedies can weaken the negative effect, it they aren't a cure. The only way to completely avoid the weaken effect of a bed underneath a window is to place your bed against a solid wall. This type of placement gives you the kind of uninterrupted support you need in order to have a restful sleep. 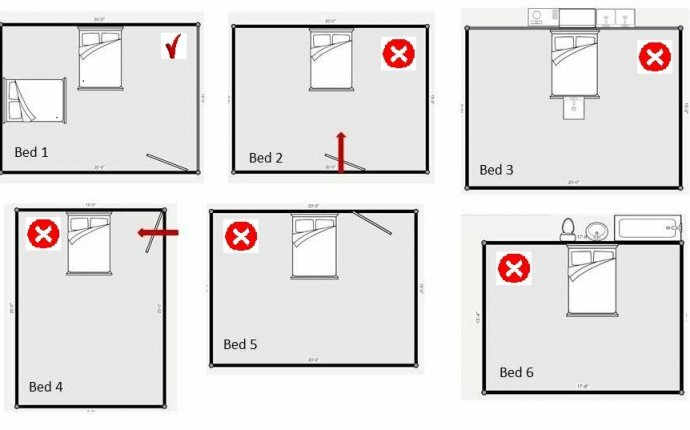 There are some practical reasons why you want to avoid window bed placements. If you sleep with your window open and only a window screen separating you and the outside world, you are in a vulnerable position to elements, intruders and even large animals. Another risk is illness from exposure to damp night air or cold winter air from leaky window frames. Before you place your bed underneath or in front of a window, try to find a better placement to ensure you have a restful sleep each night.